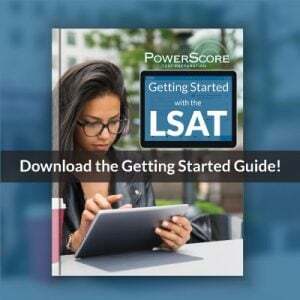 With the release of the June 2017 LSAT on Wednesday, July 5th, test takers everywhere have been in performance review mode, analyzing what went right and wrong and trying to make as much sense as possible of their results. To assist in that, we’ve released detailed discussions of the Logical Reasoning and Reading Comprehension sections, and even the Scoring Scale, so you can compare your analysis to ours. To preface this post I should note that these games were some of the simplest, or at least the most normal, that we’ve seen in quite some time. Unlike LSATs of the past few years, like the December 2015 test with its third game (a Pattern Game), or the September 2016 test and that infamous Computer Virus game, or even the last released LSAT in December 2016 and the Pattern Game it contained, the June 2017 test contained no surprises. In fact, the biggest surprise was just how uneventful these four games turned out to be! Of course, for stronger test takers that’s hardly good news: the scale for this exam was one of the tightest we’ve seen in years and years (indeed the very tightest since September 2008), one suspects due to the toothless nature of the test’s most notoriously ominous section. There’s no such thing as a free lunch, as the saying goes. On to the games then. 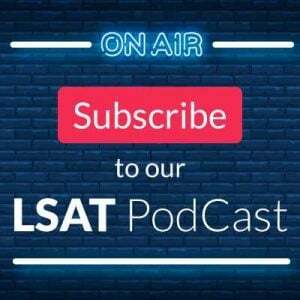 I’ll outline exactly how to attack each game here, and then provide a direct link to the interactive question explanations on our LSAT Discussion Forum. The section begins with a whimper: an easy Advanced Linear game, where five photographers (F, G, H, J, K) and their five photo essay themes (R, R, R, U, U) form two stacks above the base, 1-5. There are two ways to attack this game. Something like that (italics used for the Not Laws). Showing it in terms of positive events, instead of as Not Blocks (like FuKu , for instance), makes it easier to see when it would come into play: as soon as we know either F or K’s theme, we know the other. They’re always opposites, where one gets an R and the other gets a U. With those rules and inferences in place, you would likely be successful in moving immediately to the questions and beginning to collect your points! However, there is a further step you could take at the outset if you choose to: Templates. And that’s the second possible way to attack this game. With G in the 3rd spot our KF block only has two possible placements: we could put it in 1 and 2 (before the G), or in 4 and 5 (after the G). In either case the remaining variables, H and J, would get pushed to the back or the front, and knowing that H is always an R (see above) and that J is always a U (the final rule) allows you to fill in even more! Let’s take a look at both templates. Here the first three spots are filled by K, F and G, and since we know that the first spot (with K) is always R (rule 1), and that K and F cannot have the same theme (rule 3), then F in 2 must be a U. Further, G is always an R (discussed above), leaving only the uncertainty of where H and J will go, 4 or 5, with their respective themes, R (for H) and U (for J). This template leads to just two possible solutions based on whether 4 and 5 are H and J, or J and H.
This second template option is also extremely well filled in, with the order of the photographers completely determined: with K and F taking 4 and 5, H and J have to go into the first two spots. And since J is always a U, then H must be in 1 since 1 is always an R. Put another way, we can never have J in 1, so if H and J are the only options for spot 1 it must be H.
That means H in 1 is an R, J in 2 is a U, G in 3 is an R (G is always R, remember), and the only uncertainty is what K and F in 4 and 5 will be: one will be the other U, and one will be the third R. We can’t know which is which, so I showed it above as a split option in parentheses for spots 4 and 5 (we know R and U go to those spaces, but not their exact assignments). Again we have a total of just two possible solutions, depending on whether 4 and 5 are R and U, or U and R. That gives us just four total solutions for this game! The choice to pursue templates or not is entirely your own, and should primarily be based on how comfortable you feel without them—if you can confidently tackle the questions without templates then don’t bother showing them!—and the amount of time you anticipate them taking—time is precious, so if you’re routinely running out of it, and again feel like you’d survive with a more modest upfront setup, templates become harder to justify. Regardless, this was a very favorable start to the June 2017 LSAT, and the well-prepared earned 6 quick and easy points. I don’t want to spoil the questions for anyone looking to redo them with the setup information I’ve provided above, but full question explanations can be found on our LSAT Forum! Note: the only real standout in this game difficulty-wise was question 6, a Rule Substitution question, which I go into some detail explaining at the Forum link provided. They come up about once per test lately, so it’s worth your time to understand how to tackle them. The second game on the June 2017 LSAT is a Basic Linear game, continuing the theme of Linearity from the first game. So for fans of order over groups things are off to a great start! Specifically here we have seven musicians (L, M, N, O, P, S, T) being placed into seven performance spots, 1-7, with each person performing once and each spot filled. This is a nicely balanced 1:1 distribution, another reward for those hoping for a friendly first half. From these four rules very little is possible. Not Laws for N and T can be shown under space 1, and for L and M under 7…but that’s really about it so far. The we get rule 5, where P is either first or seventh. On its own this is just a split option, but P has been used before: P is two spots away from M. So the fifth rule also affects M, and places either a P __ M block over spots 1-3, or an MTP block over 5-7 (remember that T is after M, so if M __ P is at the very end T must go in the middle). This feels familiar to anyone recalling game 1, as we now have two options to potentially show Templates. Like game 1 we may not NEED to do Templates—we could simply note the M split and the general Not Laws, and think about the two paths and what happens to T in each and all the rest, moving quickly to the questions—but given the temptation, if not the outright wisdom, in Templates I’ll lay them both out below. T and N cannot be in 2. Both arise from the simple sequences, where T must be after M (M is in 3 here), and N must be after L (N in 2 would force L into 1, but P is already there). O cannot be in 5. O and L are two apart, so O in 5 puts L in either 3 (M is there) or 7 (no room for N after it). L cannot be in 7. This is always true; L is ahead of N, so L cannot be last. Not what I’d call incredibly useful, but if you’re quick to start on Templates and see at least the majority of those Not Laws without much hesitation it could be worth it. N cannot be in 1. Another universal truth. L is ahead of N, so N isn’t first. L cannot be in 4. If L is in 4 then there’s no room after L for N (MTP are in 5, 6, 7). O cannot be in 2. Trickier, but this would place L in 4, and that’s a problem as described in the line above. what that forces N into 1 (it’s the only variable left). N in 1 is always a problem, since it must be after L.
Another Template that feels a bit skeletal, but like the one above it won’t take much to fill itself in. Imagine, for example, if S is fist: S 1 means we’re in Template 2, first of all, so 5-7 are locked. It then puts the L/O block into 2 and 4, but to keep N after L we have to put L in 2, N in 3, and O in 4. Whoa. As before, one variable gets placed and the rest fall in line. Powerful stuff (and useful; hint hint see question 11). Again, I want to give anyone looking to redo the questions with the setup information I’ve provided above a chance to do so without me spoiling the attempt, but if you’d like to see the full question explanations they can be found on our LSAT Forum! So there you have it, the first two games from the June 2017 LSAT. Neither particularly difficult, both trading entirely in Linearity, and both providing sound opportunities to use Templates to solve. Ready for games 3 and 4? They can be found here. We’ve uploaded complete video explanations for all four games to our Forum, as well! Questions or comments on the June 2017 Logic Games? 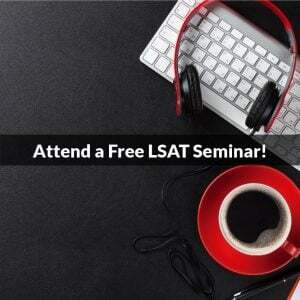 Let us know below, at the Forum links provided, or get in touch by email or phone: lsat@powerscore.com and 800-545-1750!